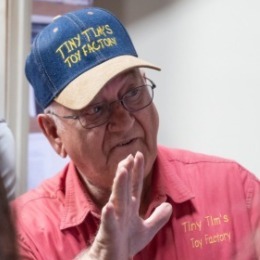 Volunteers build toys with Tiny Tim’s Foundation. 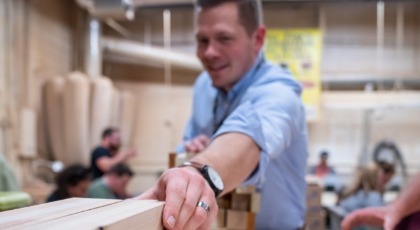 A group of 16 Young Living employees in Utah journeyed to a small warehouse and woodworking shop on September 18, 2019, called Tiny Tim’s Foundation for Kids. Tiny Tim’s is a nonprofit organization dedicated to making and distributing toys for children in need around the world. Sixteen years ago, founder Alton Thacker and his wife took a trip down to Mexico to serve as Santa and Mrs. Claus. The Thacker’s came across a little girl sitting on a dirt floor without any toys. Alton handed her a toy car, and watched a wide smile spread across her face as she spun the wheels, poked her little finger through the car’s window, and drove the car across her tummy. As soon as the Thacker’s returned home, they got to work making a plan despite having no toy-making experience. 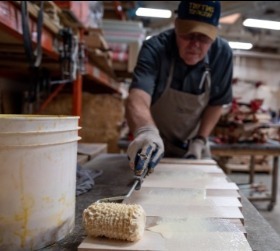 Today, Alton has roughly 35 volunteers who work in the wood shop regularly, building approximately 64,000 toys each year for children in need. 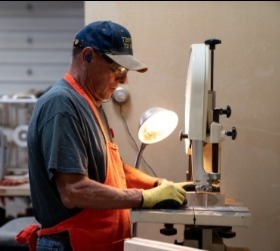 These volunteers are responsible for running the machinery, cutting out the car patterns from wood donated from local cabinet shops and then sanding the cars down until they are soft and smooth. Once the car shape is cut out, volunteer groups, like the Young Living team, assist in assembling the toys, affixing the wheels to the cars with little hand-held drills. 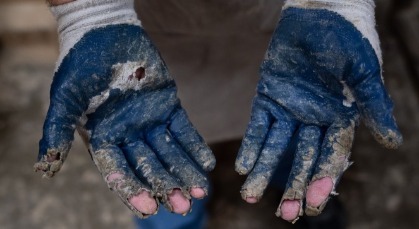 While some cars maintain their rustic natural wood appearance, others are painted by incarcerated individuals at local prisons who take pride in giving back to children in need. 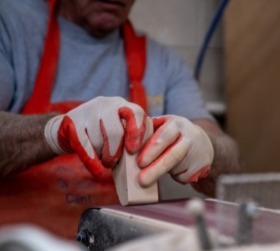 "We take wood that would be wasted, we take people’s time that would be wasted, and we make a little toy so that a little mind won’t be wasted,” Alton explains. If you want to be happy, you do something good for somebody else. That’s the secret to happiness." We couldn't agree more, Alton!